TMP is looking to amplify its already top-selling lineup in the country with the all-new crossover. 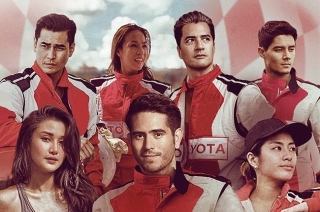 Fresh from getting its 17th consecutive Triple Crown and staying as the number one automotive company in the Philippines in terms of sales numbers, Toyota Motor Philippines isn’t showing signs of slowing down. 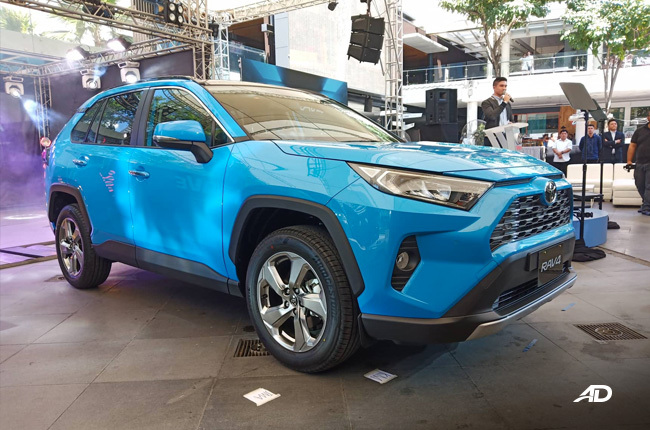 TMP unleashes the all-new 2019 RAV4 to amplify its lineup and secure its spot at the top of the sales podium. 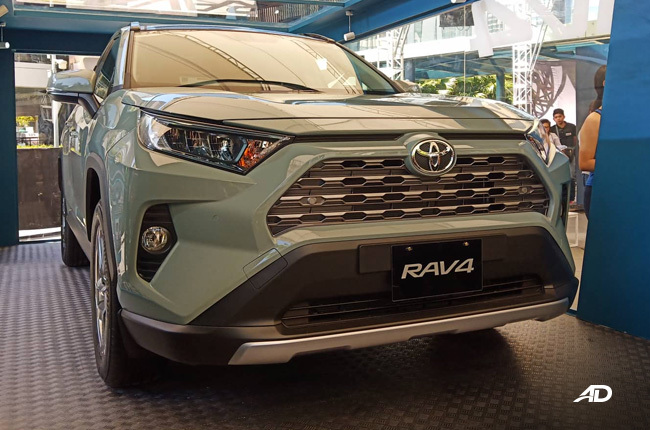 Just like the all-new Camry, The 2019 Toyota RAV4 sits on the Toyota New Global Architecture (TNGA) platform that promises improved agility, stability, and visibility. 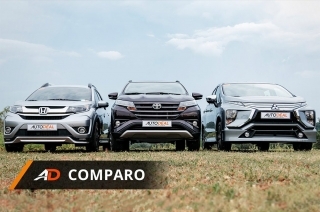 We couldn’t agree more, especially the last one, as the fifth-generation compact crossover exudes a new look that could appeal to both young and old generations of car buyers. 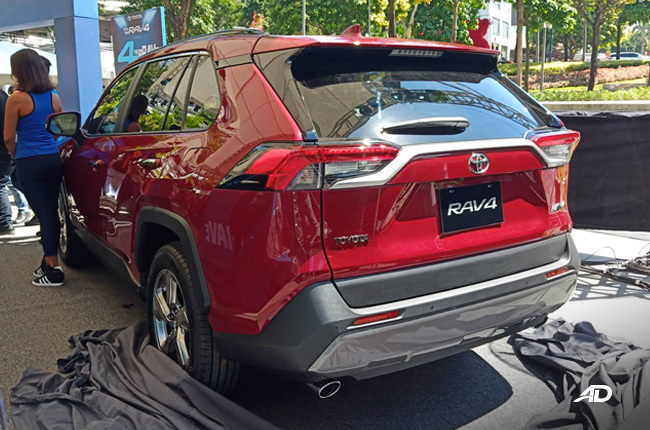 The all-new RAV4 gets a redesigned fascia to lead its full-blown makeover. 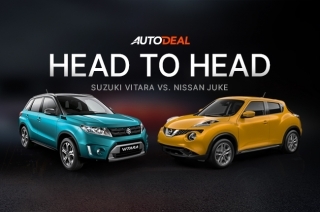 It looks angry upfront, with angular lines and chiseled body accents highlighting the intricately-designed two-tiered trapezoidal front grille. 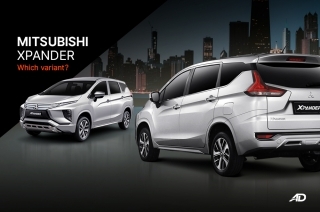 The swept back headlamps are narrower and longer than before, which draw your eyes to its angular and pronounced fender flairs. 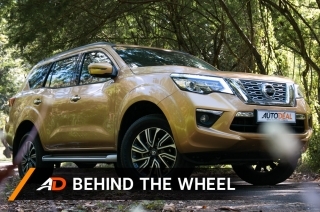 In profile, the well-loved crossover gets a standard upright SUV silhouette, accentuated by the claddings and newly-designed 18-inch alloy wheels that exude ruggedness. 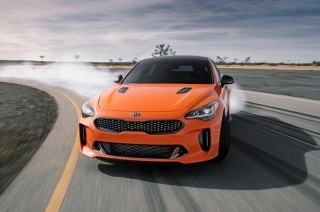 The “floating” C-pillar is also hard to miss, along with the revamped rear-end that complement the angular design approach of the crossover. Overall, it sports a wider and more planted stance than before. 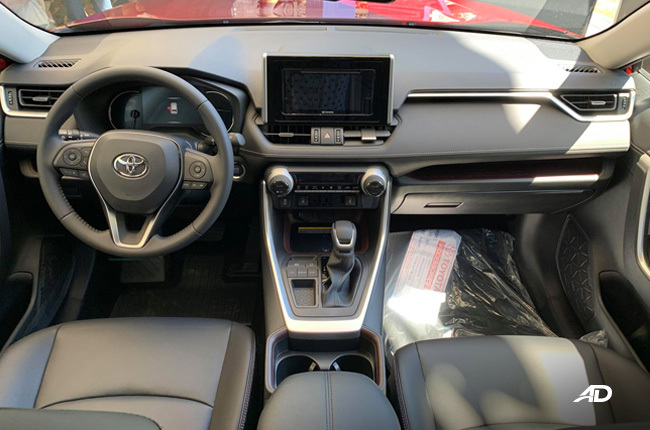 Inside, the 2019 RAV4 features an upmarket appeal with its leather upholstery, soft-touch dashboard and panels, and a huge panoramic moon roof that elevates the ambiance inside the cabin. 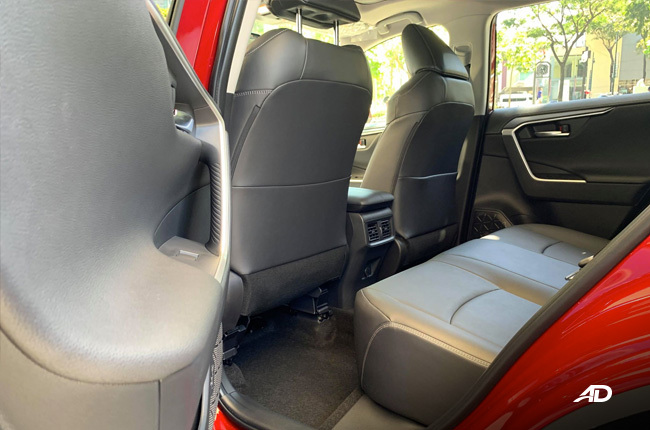 It also features an 8-way power adjustable driver’s seat with memory and lumbar support, as well as seat heaters and rear cooler. Among the RAV4’s crown is its 7-inch infotainment system can be switched between analog and digital display modes. 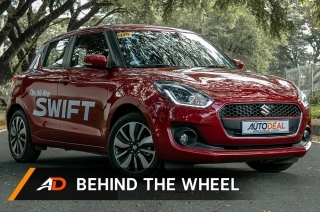 It comes with a wireless charger functionality but sadly, Apple CarPlay and Android Auto connectivity are yet to be added to the all-new unit. 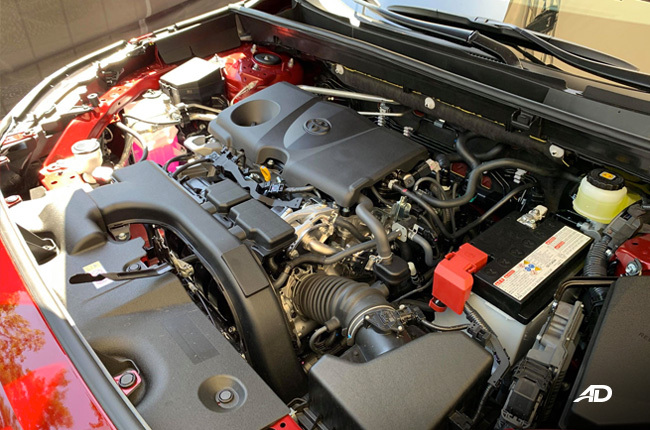 Also new to the 2019 RAV4 is its 2.5-liter (A25A-FKS) Dynamic Force Engine Dual VVT-I with VVT-iE (Variable valve timing intelligent system by Electric motor). 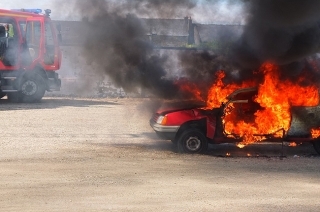 The freshly-developed gasoline power plant aims for optimum performance and less fuel consumption – something that we have yet to review really soon. For diesel hopefuls, sorry, but there won’t be any diesel variant coming for the RAV4 as of yet. 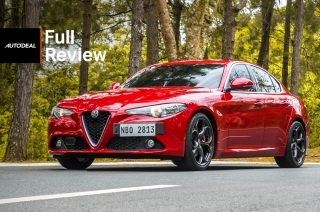 The new engine is then paired up with a direct shift 8-speed automatic transmission. 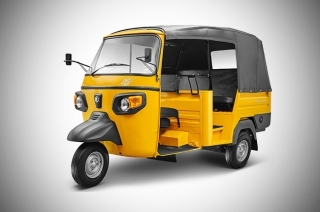 It features a multi-plate lock-up clutch that smoother and faster acceleration and shifting. 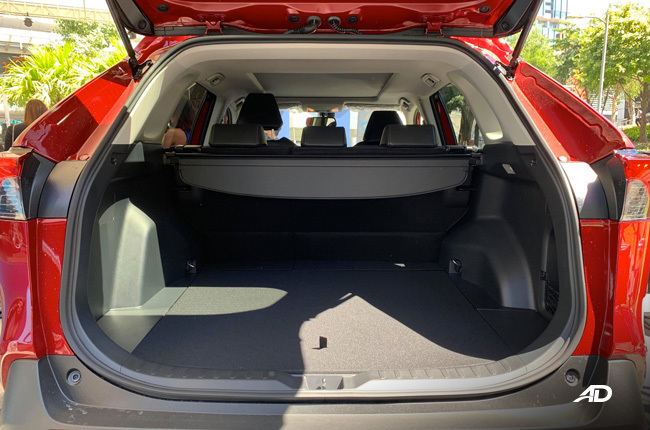 As with the entire Toyota range, the 2019 RAV4 comes with a multitude of safety features that are standard throughout the lineup. 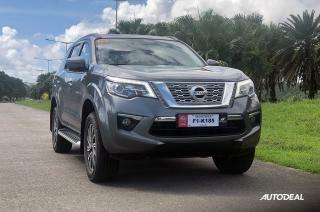 These features include seven airbags, 8-eye front & rear sensor, back-up camera, anti-lock brake system with emergency brake signal, and Vehicle Stability Control (VSC). 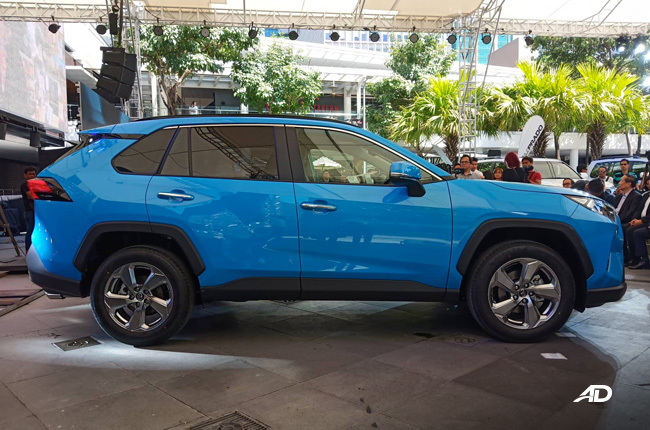 The all-new 2019 RAV4 comes in three variant offerings with the following price tags: LE (P1,638,000), XLE (P1,870,000), and LTD (P2,188,000). 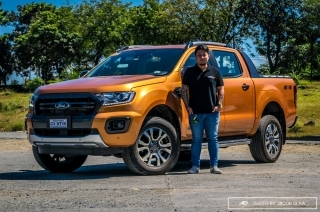 It also comes in six standard color choices such as White Pearl, Red Mica Metallic, Silver Metallic, Gray Metallic, Urban Khaki, and Cyan Metallic, while three other color options are available on special order (approximately 3-month delivery time) – Super White, Attitude Black, and Dark Blue Mica Metallic. It won't be long until TMP releases a test unit of the all-new compact crossover, so keep your eyes peeled as we'll make sure to get our hands on it for a 2019 Toyota RAV4 review. 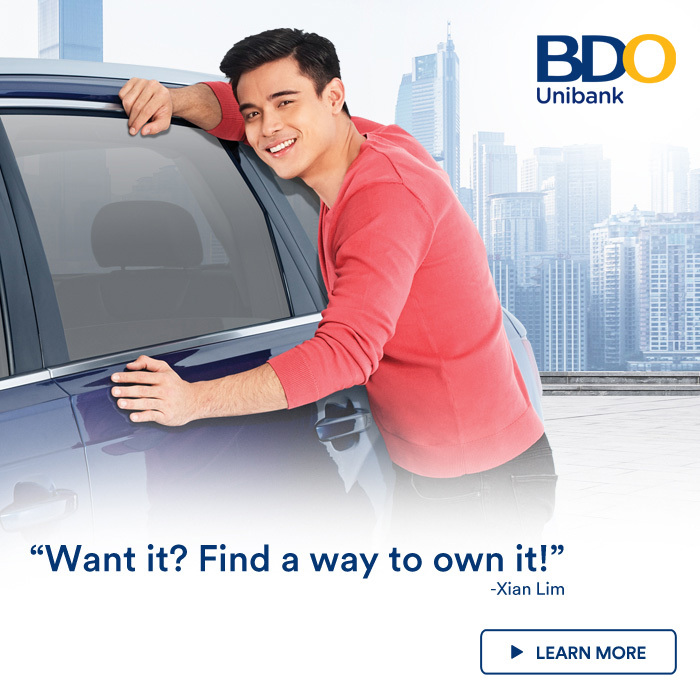 Hi, I would like to receive a financing quote for the Toyota RAV4, thank you.